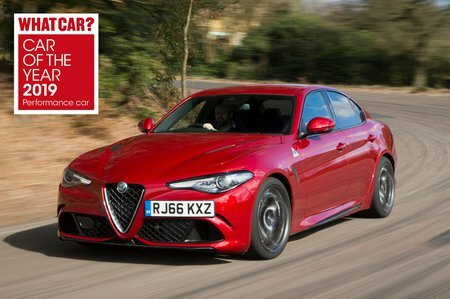 Alfa Romeo Giulia Quadrifoglio Boot Space, Size, Seats | What Car? 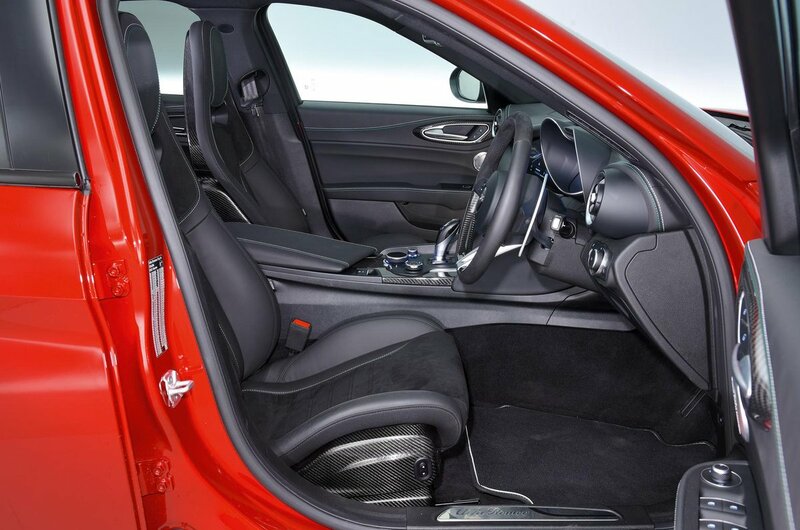 Inside, the Quadrifoglio is just like any other Giulia when it comes to space and practicality. It isn’t the easiest of saloons to climb into, having a fairly low roofline and low-set seats, but once you’re in, the car caters for full-sized adults fairly well in both rows. The front sports seats are quite wide and both shoulder room and elbow room are good. There are plenty of cubbyholes to stow your odds and ends, including a sizeable space underneath the centre armrest and glovebox. 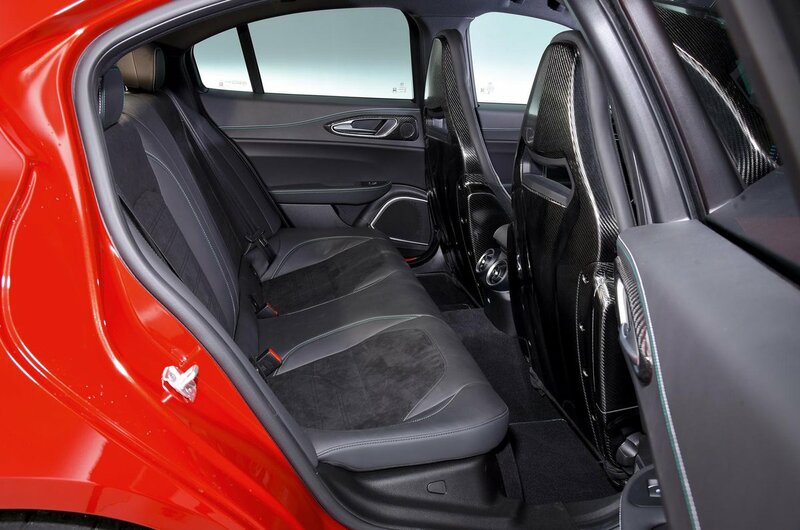 In the back, there’s a competitive amount of leg room for the class – as much as the Mercedes-AMG C63 offers – and there’s room for feet under the standard front seats. Head room is decent but not outstanding. Officially, the Giulia Quadrifoglio’s boot is slightly larger than the rival C63 saloon's, and will swallow your golf clubs or a couple of fairly large suitcases. Sadly, if you need more space than that, you’re stuck – split-folding back seats are neither standard nor available as an optional extra.